– The CPDM, which elected me as its first National Vice President, is the party, which forms the government of Cameroon and has been responsible for shaping government policies. During my political career which spans over forty years, I headed the group that campaigned for and got the peoples of the then Southern Cameroons to vote for unification, after which I went from village to village in the then East Cameroon at the risk of my life to calm terrorism which existed at the time. I even housed some Cameroonians wanted in East Cameroon. 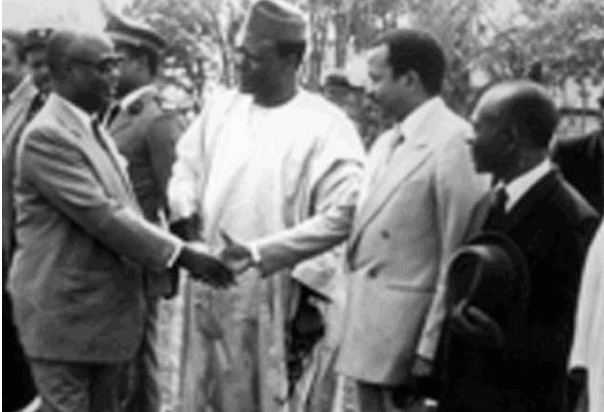 I successfully had them reconcile with the Ahidjo government. I missed being shot down on my way from Bafang on peace making mission. After settling in my village, I was occasionally consulted on some national issues and I accepted to serve the people of Cameroon in whatever capacity it pleased the powers that be to put me. When the leadership of Cameroon changed hands and Your Excellency became the President of the Republic and eventually head of the CNU, I assured Your Excellency that I was at your disposal and ready from my experience to give you advice you may need on national issues. Unfortunately this was not to be as it became clear to me that I had become an irrelevant nuisance that had to be ignored and ridiculed. – All projects of the former West Cameroon I had either initiated or held very dear to my heart had to be taken over, mismanaged and ruined, e.g. Cameroon Bank, West Cameroon Marketing Board, WADA in Wum, West Cameroon Cooperative Movement. – Whereas I spent all my life fighting to have a deep sea port in Limbe(Victoria) developed, this project had to be shelved and instead an expensive pipeline is to be built from SONARA in Limbe to Douala in order to pipe the oil to Douala. – All the roads in West Cameroon my government had either built, improved or maintained were allowed to deteriorate making Kumba-Mamfe, Mamfe-Bamenda, Bamenda-Wum- Nkambe, Bamenda-Mom inaccessible by road. Projects were shelved even after petrol produced enough money for building them and the Limbe sea port. – All progress of employment, appointments, etc. meant to promote adequate regional representation in government and its services have been revised or changed at the expense of those who stood for TRUTH and justice. They are identified as “Foncha-man” and put aside. The Anglophone Cameroonian whom I brought into the Union have been ridiculed and referred to as “les Biafrians”, les enemies dans la maison”, “les traitres’, etc. etc., and the constitutional provisions which protected this Anglophone minority have been suppressed, their voices drowned while the rule of the gun has replaced the dialogue which Anglophones cherish very much. The national media has been used by the government through people who never voted for unification to misinform the citizens about Bamenda, deliberate lies have been told over the mass media all in an attempt to isolate the Anglophone Cameroonians who voted for unification and subject them to hatred and more discrimination and harassment from other Cameroonians. Embezzlement of Public funds in all forms and illegal exportation of our currency by the privileged class seems to go without reprimand but is rather condoned. The constitution, which I have held and preached as the supreme law of the land, is in many respects being ignored or manipulated. …. Let the CPDM not move towards the direction where it will find itself collapsing faster than many of the “strong” governments that have collapsed in recent memory. My resignation is effective from today the 9th June, 1990. Wow! 26 years ago, the reasons for his resignation are still happening today. “Let the CPDM not move towards the direction where it will find itself collapsing faster than many of the “strong” governments that have collapsed in recent memory”. The collapse is at hand today!!!! We are absolutely out of any relationships with la Republic du Cameroun now. Please let us start preparing a structure for governance immediately . I appeal to sons and daughters of Southern Cameroon to start thinking of alternative means of raising income immediately and avoid depending on the Government salaries.All government employees and State corporations workers will eventually be paid after regaining our independence. The diaspora should begin fund raising immediately to finance a well structure Ad hoc or transitional government composed of all existing factions that had been fighting or newly created . Schools should not reopen for what ever reason until we have our independence. Well documented memo should be presented to the U.N. and British government through their missions abroad. No body should be in the streets and vigilanty groups be set up to monitor and document atrocities of the Biya’s Government. We should think of a way of making Ambazonia recognise the structure as well as other African States and especially UN. We should completelu avoid fear and stand firm for the liberation of Southern Cameroon now or never. I draw this inspiration from the power of the Holy spirit. We need more of such solemn declarations. People must abandon the Political Party lines they have decided to tow and Face Reality lot J.N. Foncha, Hon Wirba and many are currently doing. This is an amazing letter. Circulate this letter.